Abstract: The colour alteration of conodonts (CAI) is a good indicator of temperature increase with increasing burial depth. A characteristic example is described herein from the Mecsek and Villany Zones of the Tisza Megaunit (or Tisia Terrane), South Hungary. 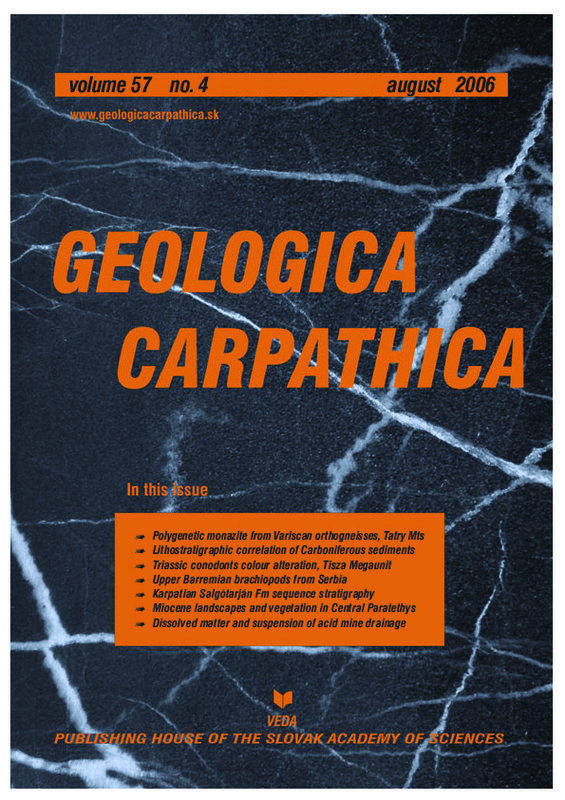 As well recorded by surface geological and borehole data in the area of the Mecsek and Villany Hills, Middle Triassic conodont-bearing carbonates were buried there to very different depths during the formation of a large half-graben structure from the Late Triassic to Early Cretaceous. In the Mecsek half-graben zone up to 4300 m thick sediments (Upper Triassic atypical, “grey Keuper”, Lower Liassic coal-bearing Gresten Facies, Middle Liassic to Lower Dogger “Fleckenmergel” or Allgau Facies) were deposited until the end of the Bajocian. On the other hand, coeval strata on the adjacent Villany Ridge zone are missing or reach only a maximum thickness of 90 m (Upper Triassic Carpathian Keuper, Pliensbachian sandy, belemnitic limestone). The siliciclasic input ceased after the Bajocian, but the Bathonian to Albian sedimentation and magmatism (Mecsek Zone: Bathonian to Berriasian pelagic carbonates and some cherts, Berriasian to Barremian/Aptian alkaline rift-type basalts and associated volcaniclastic conglomerates with some carbonates; Villany Zone: shallow water carbonates up to Early Albian, flysch-type sediments in the Late Albian) essentially did not result in a further difference between the overburden of the two zones. The investigated conodonts of the Mecsek Zone (deriving from the depocenter of the half-graben zone) became dark grey to blackish coloured (CAI=4), whereas those of the Villany Zone preserved their original yellowish white colour (CAI=1). Neither the Early Cretaceous volcanism in the Mecsek Zone, nor the additional tectonic overburden resulting from middle–Late Cretaceous northward thrusting in the Villany Zone influenced the colour of conodonts. We also made comparison of these CAI values with previously published vitrinite reflectance data from the study area and from some other parts of Hungary. However, the few existing data from the Villany Zone would indicate an excessively high temperature related to the CAI=1 value, implying the necessity of new and more numerous measurements from this region.